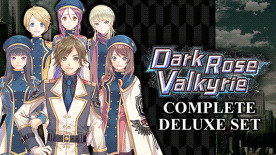 With the Complete Deluxe Set, make your Special Force Valkyrie unit the strongest team in ACID. Get the game, the Deluxe Pack, and the DLC Collection with this bundle. (x5) PC wallpaper - Customize your PC with ACID certified PC wallpapers.